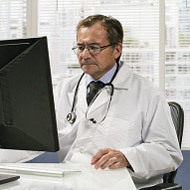 Some of the most common, yet vexing, legal issues facing medical practices involve quesitons about medical records. To whom may I release them? How long do I have once a request has been made? How long must I keep the records? TMA's Office of the General Counsel offers several whitepapers and information articles on medical records. Use these sample letters to guide you on the release and transfer of medical records. NOTICE: Please check the Texas Medical Board web site for current updates on its rules and policies with respect to these issues. TMA offers educationa programs and publications to assist you with medical records management. Got Medical Records questions? Call or email the Knowledge Center. This resource by the Office of the National Coordinator for Health Information Technology (ONC) is for patients, parents, and caregivers who want to get their health records. It includes the steps, tips, and tools they'll need to get, check, and use their health records.